Perfect for the Easter egg hunt! 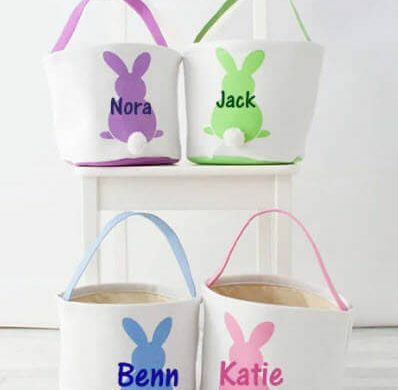 These canvas easter totes are super cute and they are a great size too! 27″ round 9″ tall.